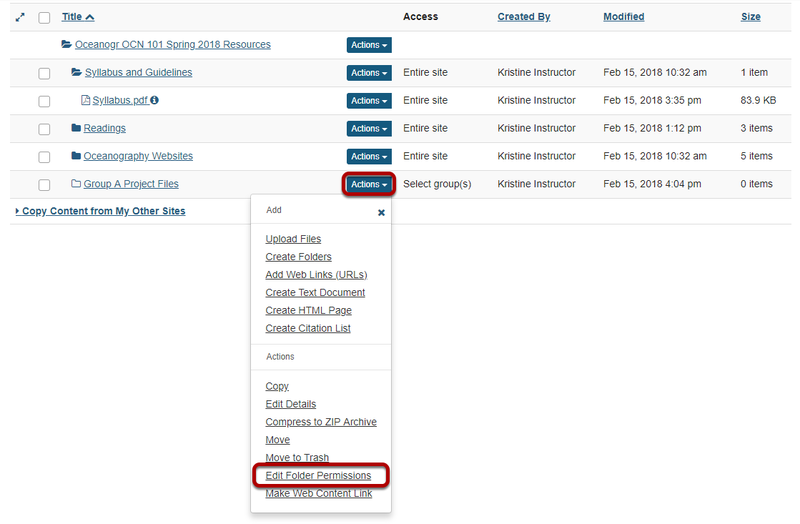 Sakai Guides and DocumentationSakai Complete User Guide ResourcesHow do I allow group members to upload content to a group Resources folder? To grant uploading permission to group members, select Edit Folder Permissions from the Actions drop-down menu to the right of the group folder. This displays the folder permissions. Zoom: Modify student permissions and then Save. 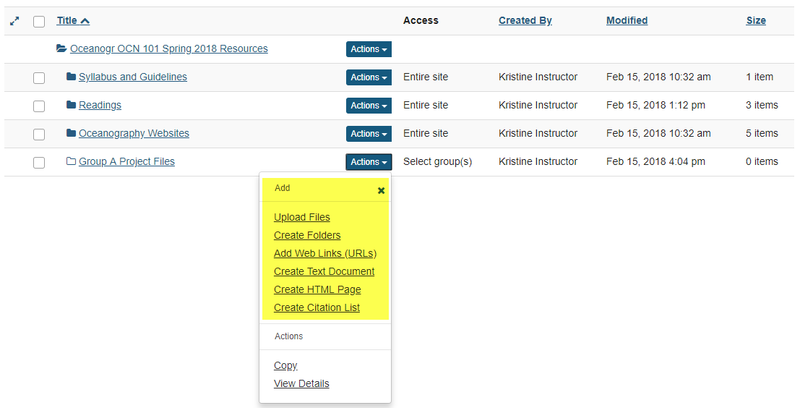 In the student column, select Create resources, Edit own resources, Delete own resources, and Access/create group resources, then click Save. Zoom: Group members may now add and edit items.